Is it hard to maintain a relationship? If borderline personality disorder (BPD) were a relationship status, it would be "it’s complicated." That's in part because BPD is characterized through different personality-based trends and patterns, which are very hard to nail down, says Kevin Gilliland, Psy.D., executive director of Innovation 360, an out-patient clinic in Dallas, Texas. And those patterns can show up in almost every aspect of a person's life, from how they act in relationships, to how they handle work situations, to even how they handle their own inner thoughts. Something important to note, however: While some people may have one or two symptoms of BPD, "it takes more than that to diagnose a disorder," says Gilliland. He adds that it can take up to four different symptoms that occur in various situations involving friends, family, work, and leisure. "For people with BPD, they will struggle with intense emotions, impulsivity, and intense relationships in all of those areas," not just one specific area. So yeah, BPD is hard to recognize and diagnose—but there are some warning signs that might mean it makes sense to talk to your doctor about it. Your mood changes at the drop of a hat. “People that have some symptoms of borderline personality disorder are sensitive to their environment," says Gilliland, which means their moods are entirely dependent on whatever else is happening in their work, life, and relationship settings. A person with borderline personality disorder, for example, has a difficult time sussing out the difference between the everyday ebb and flow of life (and the disturbances that inherently come with it) and situations that are directly related to them, Gilliland says. In turn, they might seriously overreact to something seemingly minor, like missing their bus. Your interests and values change suddenly, too. People with BPD frequently question themselves—they see their personality as malleable, and they're often not entirely sure of who they are or who they want to be. In turn, that makes them quick to change their interests and values, according to the National Institute of Mental Health (NIMH). They're often heavily influenced by outside people or factors, adds Gilliland. They may become obsessed with learning a to play a new instrument one week, and then never want to hear it again the next. You struggle with substance abuse. But while alcohol and other substances might temporarily provide that relief, Gilliland says it’s not a solution. Eventually, a person will continue to increase their use of alcohol and drugs in order to “achieve the same numbing emotional effect,” he says, ultimately leading to addiction. You've had what feels like an "out of body" experience. People with BPD might also notice dissociative feelings, or an "out of body" type of feeling that makes them feel disconnected from their feelings or thoughts, according to NAMI. It might feel as if you're looking down at your body and your actions from above. 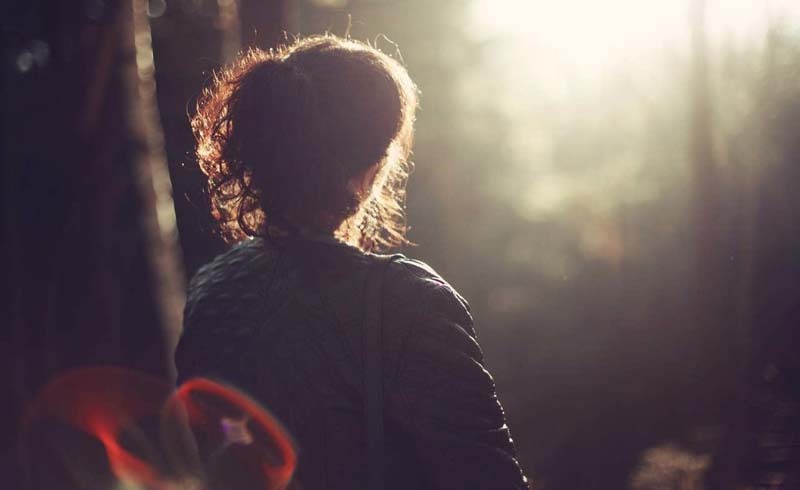 Memory can also be affected by these dissociative thoughts—known as dissociative amnesia—when those with BPD forget things too often or too much to be explained by ordinary forgetfulness. 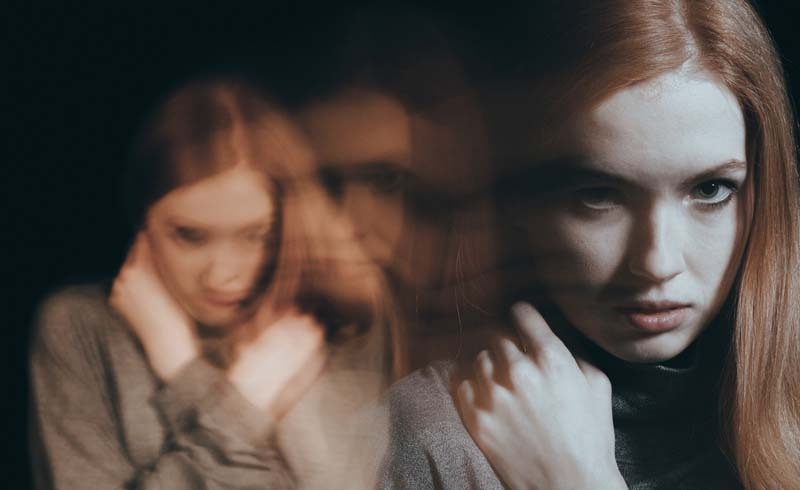 Dissociative experiences in those with BPD also increase their risk of self-injury, suicide attempts, and more frequent hospitalization, according to a 2009 report in the journal Current Psychology—so it's one of the more serious symptoms, but, according to Gilliland, early diagnosis and treatment of BPD-related dissociation can help decrease this risk. You struggle with trusting others. In addition to frequently questioning how they see themselves, those with BPD also frequently question the motives of others. "People with BPD typically have difficulty trusting others, and may go back and forth between intense positive and negative feelings for someone," says Jay Chaffin, Psy.D. That hot or or cold feeling is a classic sign of BPD. "When [someone with BPD] starts to relate to someone, they either idealize them—they're over the top—or they destroy them because they no longer fit their idealistic perspective or perception," says Mayra Mendez, Ph.D., a licensed psychotherapist and program coordinator for intellectual and developmental disabilities and mental health services at Providence Saint John's Child and Family Development Center. So what if I think I have (or someone else has) BPD? Can it be treated? First things first: Make an appointment with a licensed mental health professional. "They will need to have someone they trust who sees them like they need to be seen and who can hear what they have to say," says Gilliland. Treatment options include cognitive behavioral therapy (CBT), as well as dialectical behavior therapy (DBT), which teaches people with BPD how to better control their intense emotions and reduce self-destructive behaviors. While NAMI notes there is not a singular medication used to alleviate BPD symptoms, some medicines—such as an antidepressant for BPD-related depression and anxiety—may help. The bottom line: If you think you might have BPD, it's time to talk to a licensed mental health professional—like a psychologist, psychiatrist, or clinical social worker—to find the best treatment option for you.